Health: HD A, PRA ua. RPE65 Normal. Height 62 cm. Passed mentaltest with approved shots. Dogshows: Lots of BOB, BOS, CACIB, CAC, BIG- and BIS-placements. 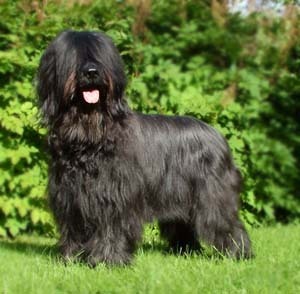 Briard of the year 2001. Obedience: 179,5 p in 2nd class. Working: Passed NKKs working dog test. Qualified for tracking grade C.